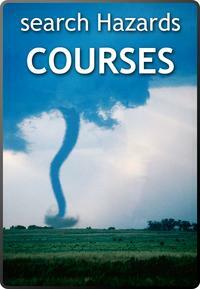 Teaching about hazards (GeoHazards, Natural Hazards, Geologic Hazards, etc.) is an engaging and easy way to grab students' attention and get them interested in studying the Earth system. A number of the projects that SERC has been a part of have produced great products aimed at teaching about various types of hazards. 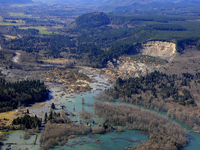 Click the images above to browse teaching activities and course descriptions related to geologic hazards. Collections are contributed by faculty and may include service learning projects, writing assignments, field trips, course descriptions and syllabi. 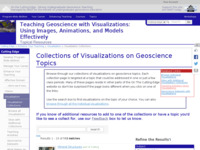 On the Cutting Edge: Teaching Geoscience with Visualizations - This part of the On the Cutting Edge website provides access to many collections of visualizations on a variety of hazards-related topics including hurricanes, tornadoes, volcanoes, earthquakes, the impacts of climate change, tsunamis, and floods as well as many others. 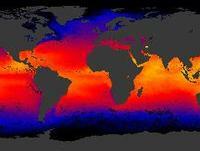 Natural Hazards and Risks: Hurricanes, developed as part of the InTeGrate project, this two week, 6-unit module explores how hurricanes connect the ocean-atmosphere-terrestrial systems and society. The units can be used as stand-alone activities or in series. Students evaluate how hurricane hazards and risks have changed with coastal development, use data to track historic hurricanes, and compare the impacts from different hurricanes. The module utilizes active learning methods and includes data-rich activities. 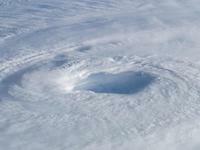 EarthLabs: Hurricanes - This site hosts a small collection of labs exploring the causes and impacts of hurricanes. The labs include data and visual-rich material to teach students about hurricanes. 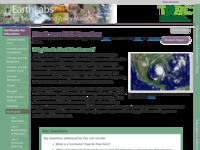 EarthLabs: Drought - This site hosts a collection of lab activities exploring the causes and impacts of droughts. These data-rich lab activities aim to build students' quantitative and data analysis skills and get students thinking about both the causes and solutions for mitigating impacts of droughts. 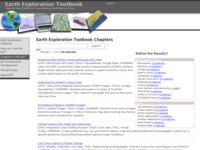 The Earth Exploration Toolbook - The Earth Exploration Toolbook has a number of data-rich activities designed for high school classrooms including Tsunami Run-up Prediction for Seaside, Oregon with My World GIS and Analyzing Plate Motion Using EarthScope GPS Data. Search on 'hazards' to get a complete list of hazards related activities. The Hurricane - Climate Change Connection - Large hurricanes have captured the attention of many citizens in recent years and prompts the inevitable question about the relationship between climate change and hurricanes. This website provides access to resources for teaching and focuses on recent hurricanes and the latest climate change research to engage students and help them understand the central issues of climate change and hurricane activity. 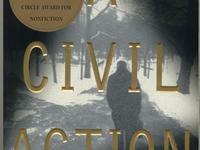 A Civil Action: The Woburn Toxic Trial - Developed from a popular mock-trial course at Ohio State University, the site consists of a series of educational modules that students work through culminating in the presentation of a mock trial about groundwater pollution. Materials are be presented in such as way that educators can use them all in sequence with the mock trial as the destination or pull out specific modules for use in other classes or without conducting the mock trial at the end. Integrating Research and Education Environmental Health Risk Inventory - This site is designed to help instructors and students locate and use some of the numerous health-related tools and databases that can be found on the web. Instructors and students will also find a series of step-by-step instructions for using the tools and databases. Finally, we provide case studies of several neighborhoods using health-related tools and databases to elucidate the environmental risk in those locales. The ultimate goal... you will learn how to complete a basic environmental risk inventory of your own neighborhood! 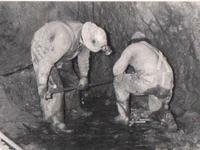 On the Cutting Edge: Geology and Human Health - This site contains a variety of educational and supporting materials for faculty teaching in the emerging field of geology and human health. It includes links to internet resources, books, teaching activities, and a group email list, as well as posters, presentations and discussions from the spring 2004 workshop on Geology and Human Health. These resources reflect the contributions of faculty members from across the country and the collections will continue to grow as materials are developed. Integrating Research and Education: Impact of Resource Development on Native American Lands - This collection contains an assortment of digital resources relevant to exploring Native American land and resource development by using investigative case studies. We will systematically take an Earth System approach to understand resource development on Native American lands.